Need something similar? 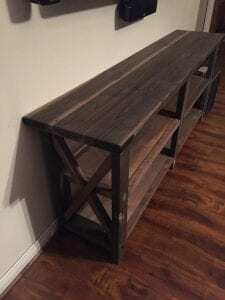 We can make lots of custom projects! Send us a picture via email or text and we will tell you if we can make it. Please note San Diego Local Pick Up / Delivery Only. Delivery charge is $25 dollars, $50 if you live 45 miles from Vista. Feel free to call or email if you have any questions! 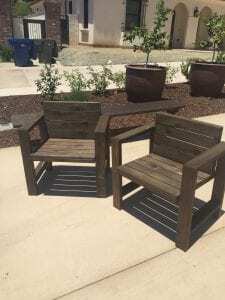 Dimensions: love seat is 51 inches, Depth 26.5 inches, seat height is 13 inches without the cushions, the back is 33.5 inches high. Chairs that can be used with one of our tables or as stand alone pieces. $175 each. Dimensions: 25 x 51 inches height 13 inches high. 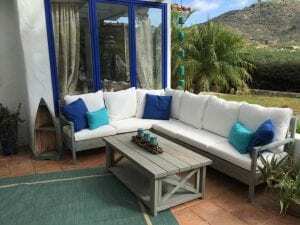 This beach themed outdoor living space had a custom sectional made to fit the customer’s outdoor living space. 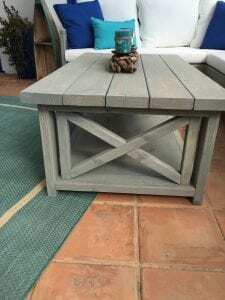 Beautiful X design coffee table which matches the couch set X design. 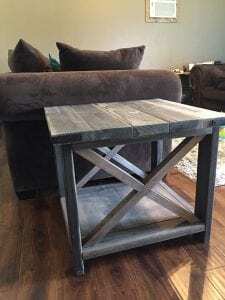 Modeled after pottery barn and restoration hardware solid wood pieces. 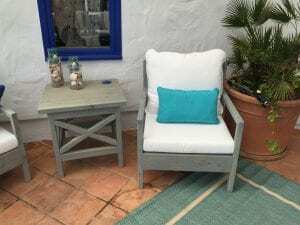 Beautiful X design side table and side chair with arms which matches the couch X design set. Modeled after pottery barn and restoration hardware solid wood pieces. 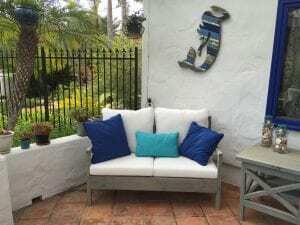 Beautiful X design love seat. 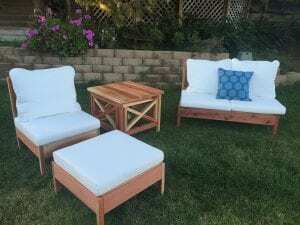 Modeled after pottery barn and restoration hardware solid wood pieces. 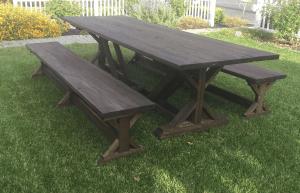 Beautiful farmhouse table, and benches in our standard brown color. 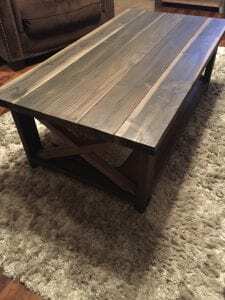 Stain options please add $50 to cover cost of the stain. Dimensions can be made to order. 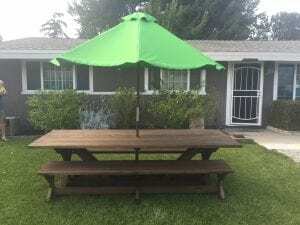 The dimensions of the table pictured is 96 inches long x 38.25 inches wide and 30.5 inches tall with a hole for an umbrella. The price in redwood is $1,200 the price in doug fir is $700. 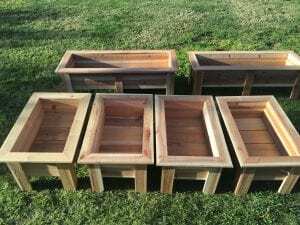 Handcrafted Cedar Planter Boxes – Patio or Organic Gardening. 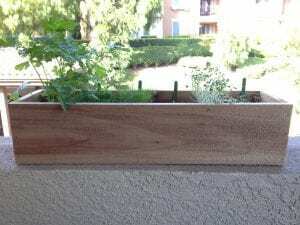 Handcrafted cedar planter box unstained is perfect for organic gardening or stained for regular plants. Each box has removable a bottom base board. 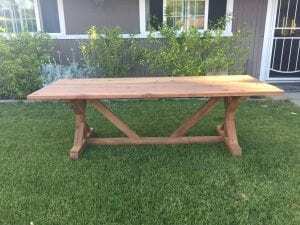 Beautiful farmhouse table, and benches in a custom color. 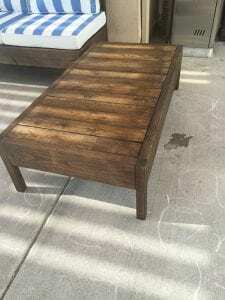 Stain options please add $50 to cover cost of the stain. Dimensions can be made to order. 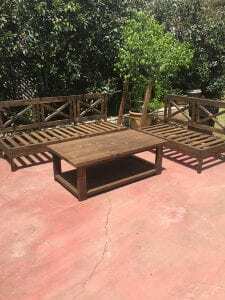 The dimensions of the table pictured is 96 inches long x 38.25 inches wide and 30.5 inches tall. The price in redwood is $1,200 the price in doug fir is $700.